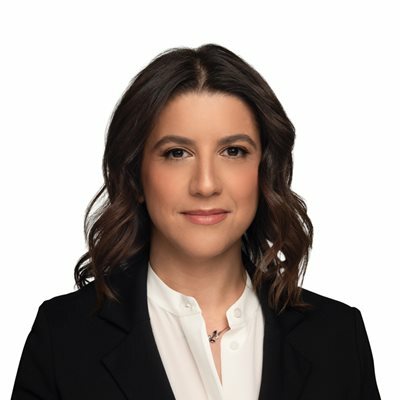 Shahrzad Esmaili is a partner in Gowling WLG's Toronto office working in the Intellectual Property (IP) Group. A registered patent agent in both Canada and the United States, Shahrzad has over 13 years of experience in patent prosecution and drafting, with an emphasis on patent and design applications relating to business methods, electrical and computer inventions, biomedical devices, mechanical devices, and consumer products. She also has significant experience in drafting freedom-to-operate, infringement and validity opinions for clients in view of potential litigation issues. Shahrzad is regularly involved in educating start-up clients in the Toronto and Waterloo Region on developing their IP portfolios. Her strong technical background and skill-set in computer and electrical engineering is a particular asset to her high-tech clients operating in these areas. Shahrzad's clients value her responsiveness, attention to detail and interest in strategizing to achieve optimal patent protection that is in line with their business needs. Prior to entering the patent field, her professional experience included developing optical network solutions for clients of a large telecommunications firm. Shahrzad has both a master of engineering (computer networks) and a master of applied science (electrical engineering) from Ryerson University. During her graduate studies, she was awarded various academic honours, including the Natural Sciences and Engineering Research Council of Canada (NSERC) Postgraduate Scholarship and the Ontario Graduate Scholarship for high academic standing.